Is entering awards on your plan for 2016? If it isn’t, it should be and we will be telling you why! Writing a compelling award entry can be extremely difficult. You think you’ve nailed it and then you don’t win or even get shortlisted! Each year we read entries with the same mistakes. The organisations who do win or even get shortlisted just go back to their offices and carry on as normal. Break this habit! This event will not only steer you in the right direction in terms of writing your entry, Teri Etherington, UK country manager at Recruitment International and judge at multiple awards, will be there to answer any questions. Lisa Jones, director at Barclay Jones, will be leading the session covering every aspect of awards: What to do beforehand, how to plan for submitting your entry as well as what to do on the night and post-event to ensure you really are maximising your investment. Lisa is a Director of Barclay Jones. She supports Recruitment and Marketing Leaders to grow their businesses and improve profitability through effective digital marketing and technology solutions. Lisa is a passionate advocate of recruitment and her team of technology, social media and training experts work with recruiters to make them more effective. Lisa is a recruitment, technology and digital marketing professional. She also's works with Recruitment, IT and Marketing leaders to improve growth and profitability through effective digital marketing and recruitment technology solutions. 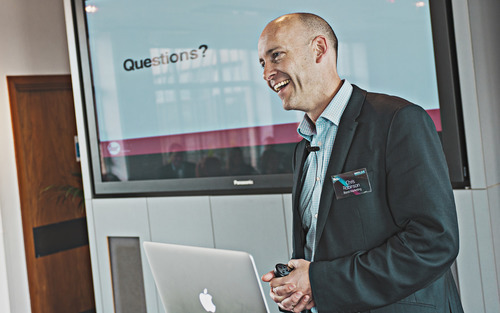 Chris Robinson is the founder and Managing Director of Boost Marketing, the world’s first and largest award entry consultancy. With its 20-strong in-house team of award entry writers and impact evaluation consultants, Boost has helped over 300 companies win nearly 1,000 awards. Need some help when writing and entry for an award ? Teri from RI teamed up with Barcaly Jones to do a podcast on how your entry could be losing you an award and what you can do to make sure that your entry is the best it can be to impress the judges. What is the key to winning an award? Which awards should you enter? 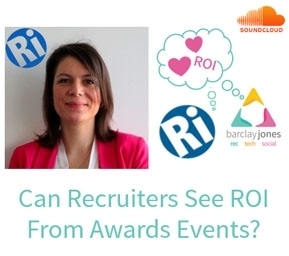 What are the key, stupid mistakes that many recruitment teams make when they enter awards? Why is it that so many “go getter” recruitment leaders fail to win awards? What an irony! How to plan for an award entry – and ultimately win.